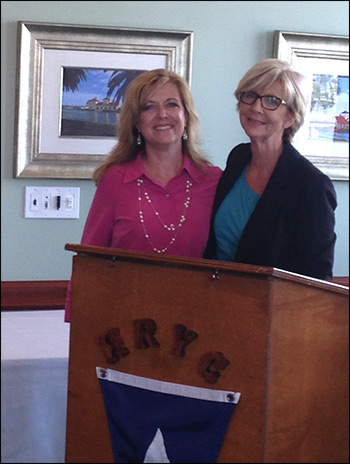 Rice & Rose Attorney Elizabeth King pictured here with the Volusia Flagler Association of Women Lawyers President Ann Phillips. Ms. King received the 2015 Distinguished Service Award at the May 13th meeting. The Distinguished Service Award is recognition for outstanding service to the local community. VFAWL meets once a month at the Halifax River Yacht Club. Its stated mission is to improve the standing of women in the local legal community. Ms. King is a past president of the organization.